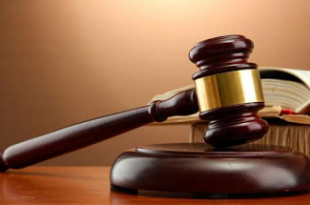 A 40-year-old man, Femi Adewale, was on Thursday arraigned before Chief Magistrate B. B. Adebowale of an Ota Magistrates’ Court in Ogun for allegedly collecting N1.1 million under false pretences from a worshipper. Adewale who claimed to be a pastor collected N1.1 million from one Ibukun Aderonmu, with a promise to assist her to solve her spiritual problems. The accused of No. 22, Farinde St., Ijako, Ota, is facing a two-count charge of conspiracy and obtaining money under false pretences. The prosecutor, Cpl. Abdulkareem Mustapha told the court that the defendant and others, still at large, committed the offences on Sept. 14 at Ijako area of Ota. Mustapha said the defendant and his accomplices collected the money with a promise to help Aderonmu to solve her spiritual problems, an agreement he did not fulfill. He said the offences contravened Sections 390(9) and 419 of the Criminal Code Vol. 1, Laws of Ogun, 2006. The defendant, however, pleaded not guilty to the charge. The Chief Magistrate, Mrs. B. B. Adebowale, granted the defendant bail in the sum of N500,000 with two sureties in like sum. She said the sureties must be residing within the court’s jurisdiction and swear to an affidavit of means. Adebowale also ordered that the sureties should show evidence of tax payment to the Ogun State Government and submit four recent passport photographs to the court. The case was adjourned until Jan. 22, 2018 for hearing.